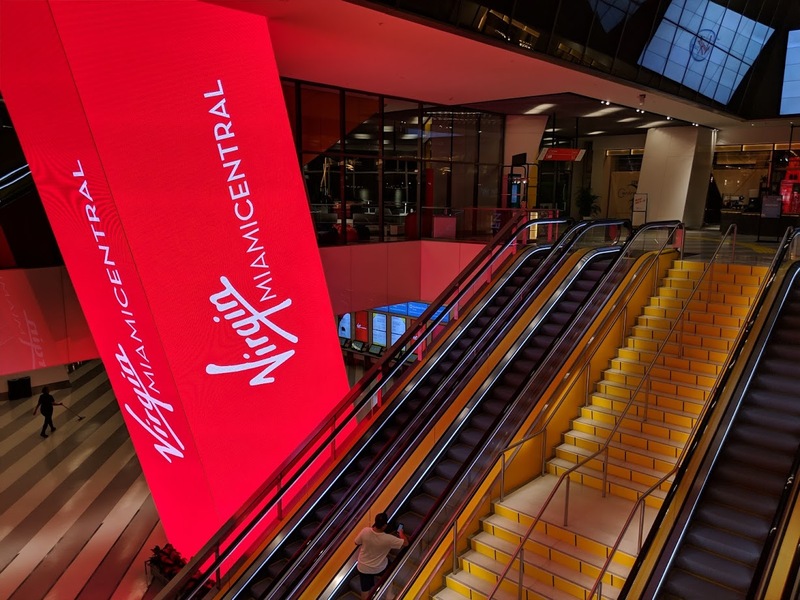 These photos show the MiamiCentral rail, office, retail and residential hub in downtown Miami, where rebranding with the Virgin name is now complete. CentralFare food hall will open on the second level of the development within weeks, starting with Rosetta Bakery (not all tenants will open immediately). La Estación American Brasserie, with 240 seats in 10,000 square feet of space, will be open the anchor tenant opening sometime this spring. Another restuarant, 800º Woodfired Kitchen will open in fall. 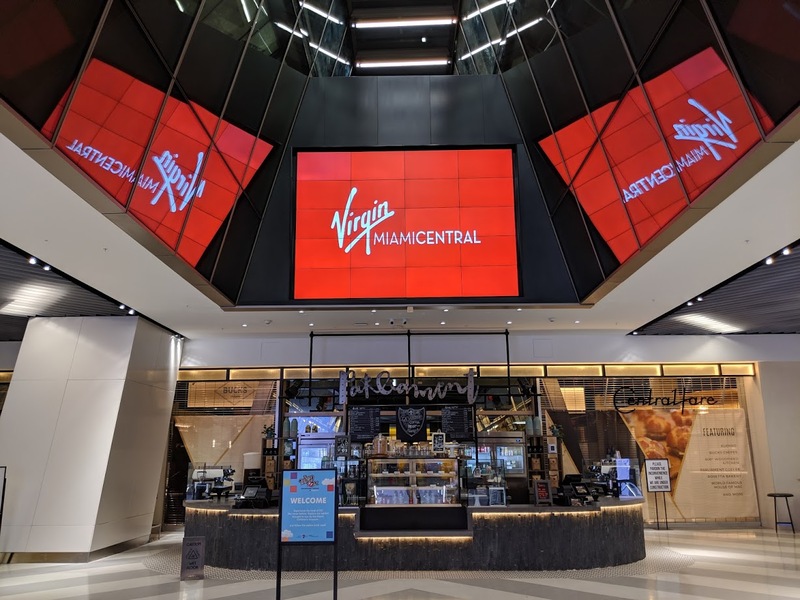 Other tenants at CentralFare will include World Famous House of Mac, Bucks Crepes, Patagonia Flavors (an Argentinian cafe), Bio Bio Gelato, and Art de Vivre (a French cafe and wine bar). I was there yesterday. The whole area is coming along very nicely. But the real important question is… when does the Chick-Fil-A open? I liked the Brightline name and colors better. 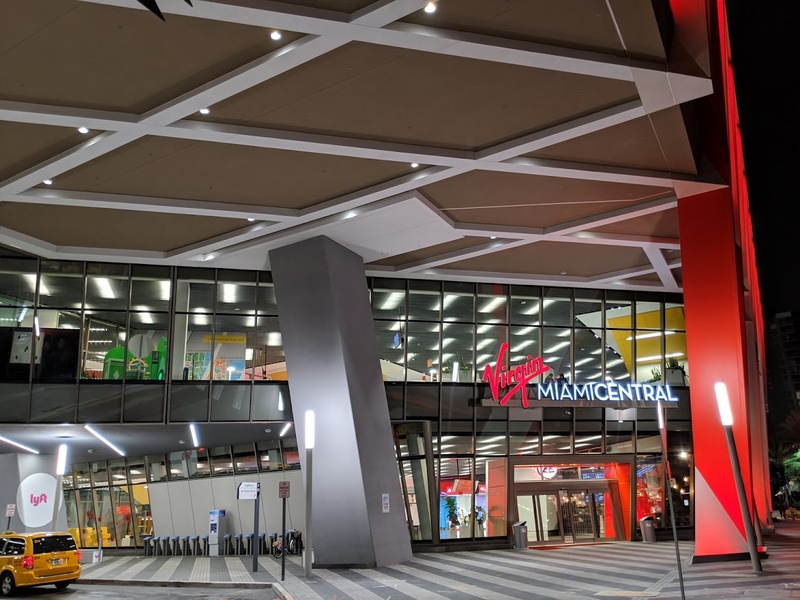 It was a Miami homegrown concept, this Virgin rebranding feels like a sellout. Yes, I’m not a huge fan of this name. VA has become terrible over the years to the point Delta actually improved it, although not by much. 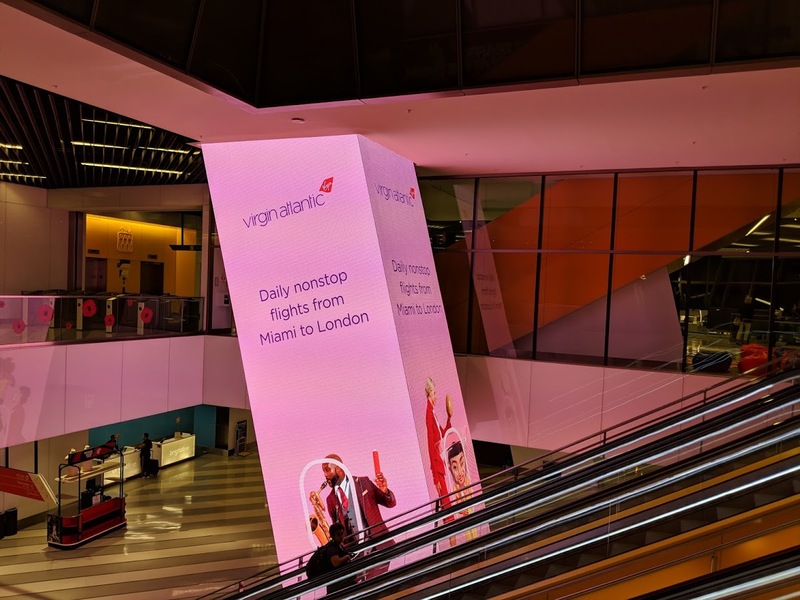 If it’s any consolation, remember Virgin is a minority partner. 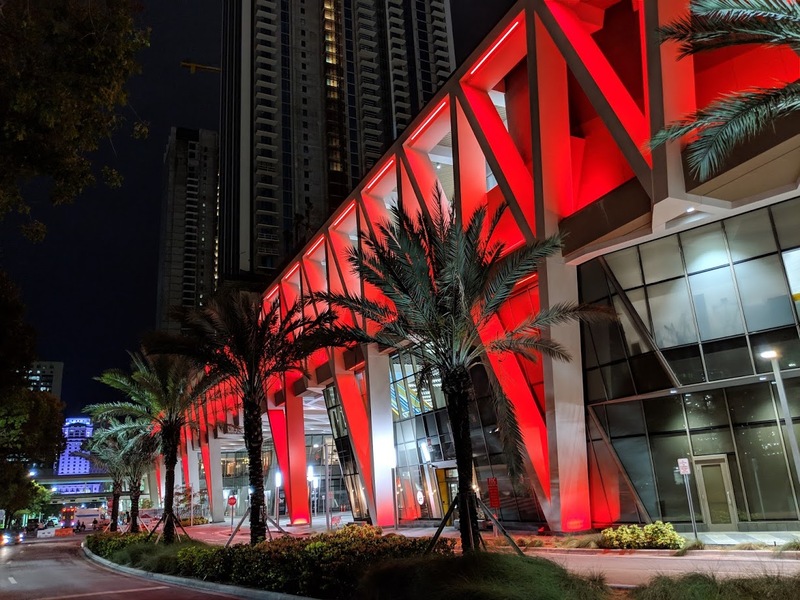 Brightline still retains majority ownership. 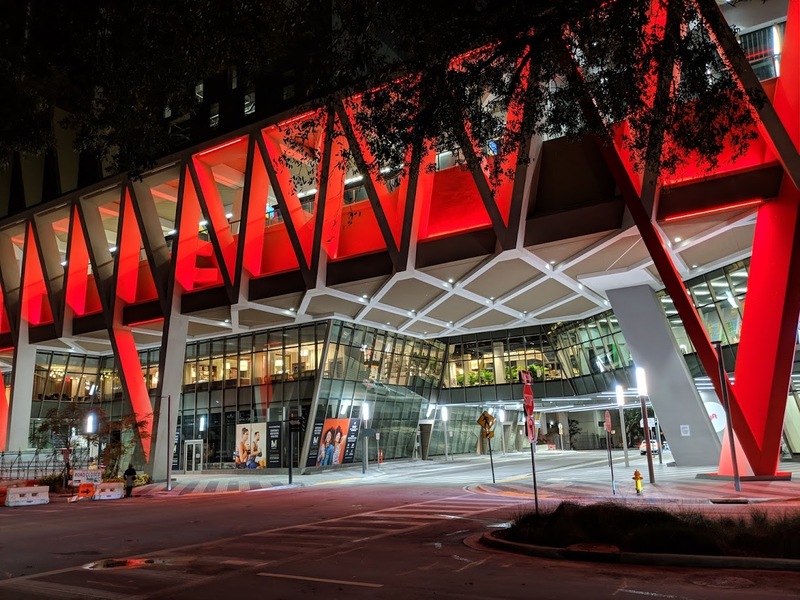 I think Brightline was in need of a large cash infusion and what better company to pick? After all Virgin is big around the world when it comes to transportation. Probably was a no deal without the name change, unfortunately. Agreed, especially the tribute paid to the old FEC liveries. Now if it was still called “All Aboard Florida,” I would say it’s an improvement. 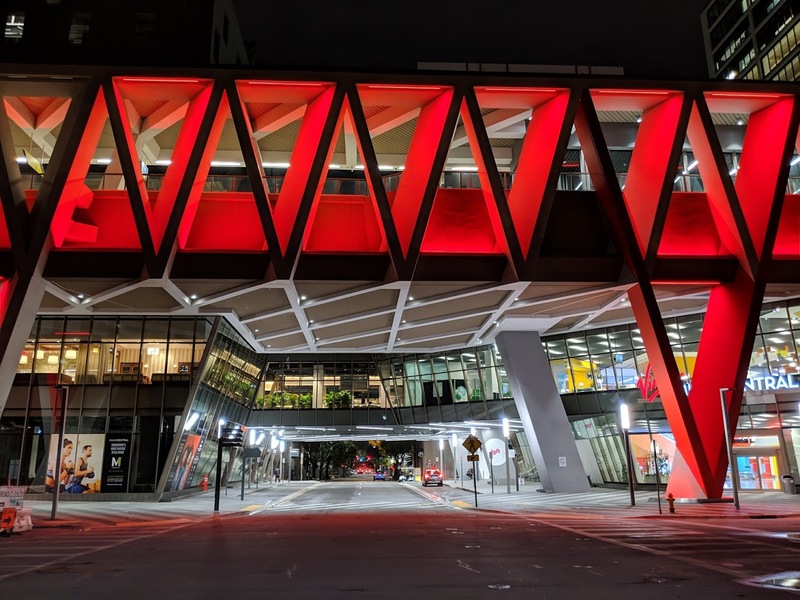 Re-branding going well.. the Red glow looks fantastic at night. It looks like the red light distract now. I guess you guys are so pathetically frustrated. it was joke and I get it easily. nothing screams “I get it easy” more then an anonymous comment bragging about how you get it easy. You forgot Chik Fil A !!! Prob just an LGBTQ holding a 5000 year old grudge and not moving on with their life like everyone else. downtown now needs a Chipotle! The homophobes love it ! Shake Shack has a better Chicken Sandwich. I’m not opposed to a shake shack downtown either. But I’ll take whatever doesn’t make me schlep out to the suburbs. Less Wendys/McD/BurgerCrap/TacoSmell (those are everywhere, common and boring). Maybe but it costs 2x as much. 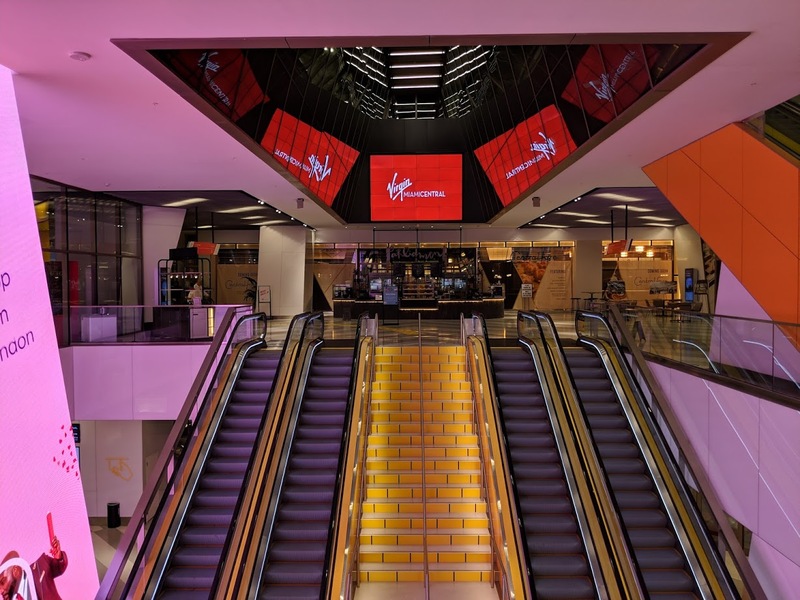 The building structure fits so well for a Virgin theme. The yellow tile behind the stairs is really bothering me. 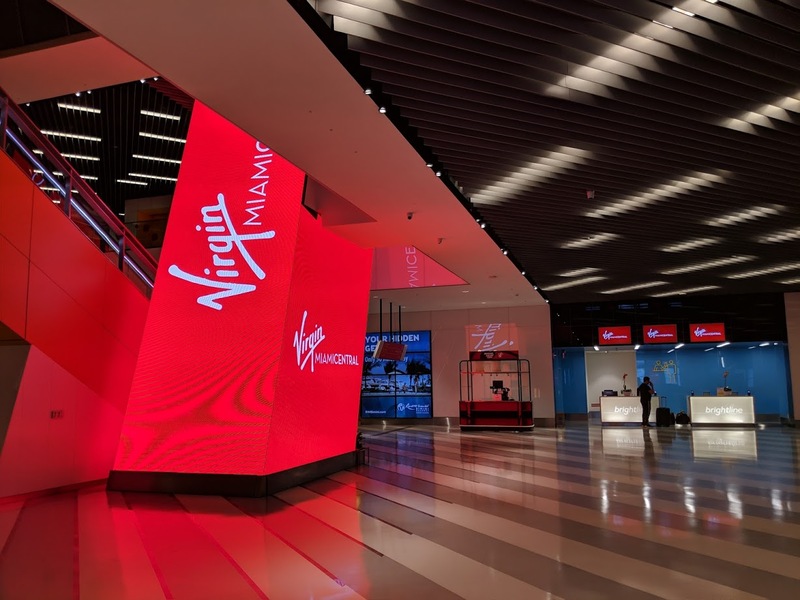 Virgin Trains was just barred from 3 franchise bids in the UK…..I hope it is not affecting the success of the vision from the people of Brightline. They were not well liked in England when they ran the trains there. They were blamed for the troubles they had. I was with Sir Richard at this thrilling day for Miami. Anything this British visionary does holds promise so our city is blessed he is “bringing his talents” to us! It looks like if I were to walk in to a cell phone store. Pics are super…wish the views from train were as nice going to WPB. Looking at the picture with the steps, all I could think of was “follow the yellow brick road”. 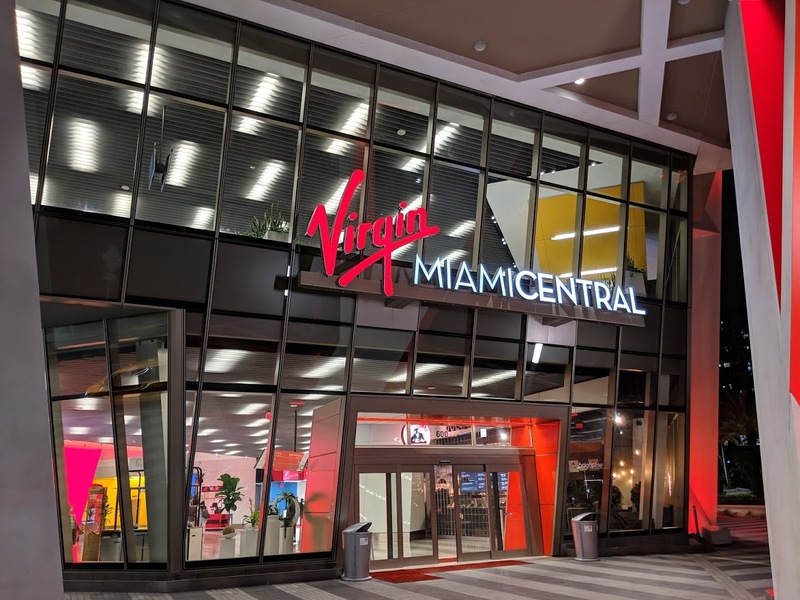 Next project for Virgin: Miami to Havana!!! Love the Advertising for the Miami to London Non-Stop, so all the Hobos riding the rails, don’t forget their European Travel Plans! 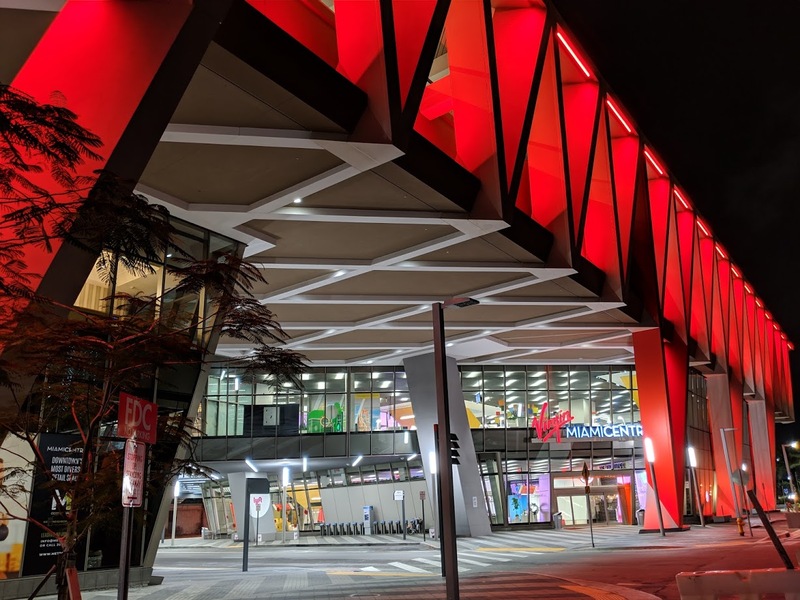 And what hobos have you seen riding Brightline? Oh wait… you haven’t been on it once have you? Rhetorical question no need to respond.